In its war to control tech in the living room, Microsoft's Xbox One is fighting on multiple fronts. From the low end of the market, it's fighting against Apple, Amazon and Roku, which stream video content from the Internet to your TV through inexpensive set-stop boxes, ranging from $99, a far cry from the Xbox One's $449 price tag. Then there's the PlayStation 4, Sony's flagship game console that offers similar gaming and video-streaming capabilities for $399. Since most blockbuster games come to both the PS4 and the Xbox One, the key to a console's success this generation is differentiating the experience and offering exclusive games that you can't get anywhere else. The most obvious way Microsoft made the Xbox One's user experience unique was the inclusion of the Kinect, which lets you control your console with voice and gestures alone. If you plug a cable box into the Xbox One, you can even use those same commands to control your television set as well. Getting exclusive games is a bit trickier than introducing a new interface. While Microsoft Games Studios makes a number of very successful game series for the Xbox platform, people don't just want "Halo." They want big, new games, too. Developers and publishers of those games invest years and tens or hundreds of millions of dollars to bring blockbuster games to the market. That means that they want to release their games to as many potential customers as they can — which is why most games now target the PlayStation, Xbox and PC platforms. To get exclusive games, Microsoft has to either pay publishers to bring their games only to the Xbox, or offer services for developers that you can't get anywhere else. The original Xbox, for instance, was the best console for online gaming until the Xbox 360's release in 2005. With Xbox Live, it was the first console to make online gaming easily accessible. Neither Sony nor Nintendo offered anything comparable, so if you wanted your customers to have fun playing online, you built for Microsoft's console. Sony pretty much caught up to Microsoft with its PlayStation Network on the PS3, so Microsoft had to come up with something new for the Xbox One. From today's keynote at the company's developer conference, Build, in San Francisco, it's clear that Microsoft thinks its Azure cloud can be that differentiator. One of the first points brought up today at the conference was that "Titanfall," the single biggest exclusive released for the Xbox One so far, is built on top of its cloud infrastructure. Hosting multiplayer video games on massive servers is nothing new. What is new is the fact that Microsoft's infrastructure can massively scale up and down based on a developer's needs, all while doing far more complex operations than what was previously available. Microsoft has invested far more into its cloud architecture than either Sony or Nintendo have for their platforms — after all, it's trying to compete with Amazon and Google in the space. That means it can do more with its servers than anyone else, including advanced simulations that make graphics and in-game AI better. 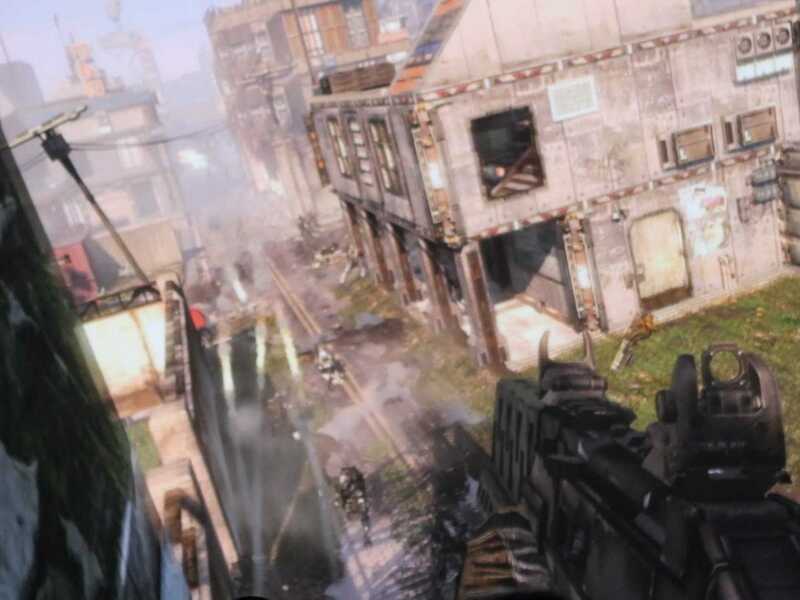 Last month, Respawn Entertainment — the company behind "Titanfall" — co-founder Vince Campella told Business Insider that "all the AI and physics [in "Titanfall"] are done on the cloud." In "Titanfall," you aren't just fighting against other people: there are also a number of AI combatants to deal with throughout the game's matches. You can't run those AI simulations on an individual's console because lag on their end could affect everyone. That means for every match, there has to be a new AI simulation being performed. Azure let Respawn do that without having to buy its own expensive server infrastructure. Physics simulation is another huge computer-power hog that can be handled on the cloud. 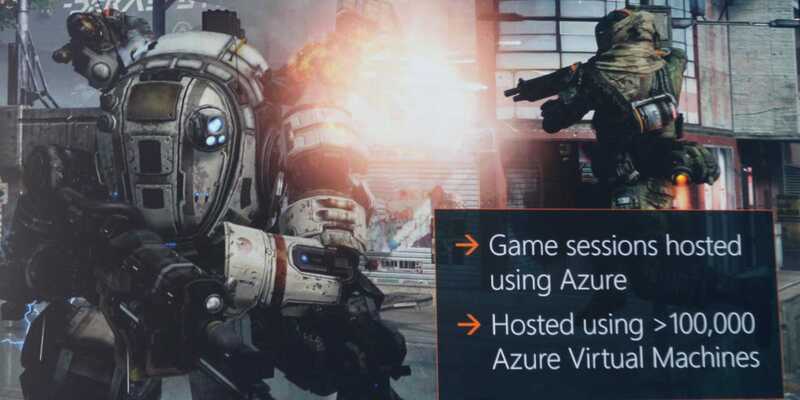 After the "Titanfall" presentation, Microsoft showed off a demo comparing a game running on a high-end PC and one running with assistance from Azure. 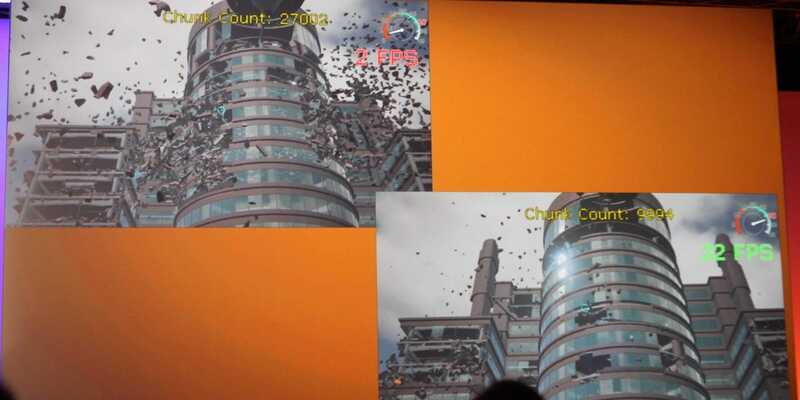 In the demo, the player could fire rockets at buildings and watch them realistically crumble. On the PC, the game slowed to a crawl as soon as the first rocket hit, becoming unplayable. The version with Cloud Assist didn't slow down once, even with multiple structures collapsing and the player wandering through the environment. It'll be interesting to see whether Microsoft can convince game developers to take advantage of its cloud to make for more physics- and AI-intensive games. While the PlayStation 4 is technically a bit more powerful than the Xbox One, Sony doesn't offer anything like Microsoft's Cloud Assist. That could be enough to win over developers looking to provide high-quality, blockbuster experiences.